Labor Day weekend is quickly approaching, along with the chance to enjoy one last coveted vacation with the family. Although school has started and things are business as usual, that doesn’t mean that you can’t head to the coast for a last hoorah! Labor Day weekend in Myrtle Beach offers plenty of family friendly fun for everyone. Beach Cove still has plenty of summer specials, from packages including breakfast to Military Discounts, meaning that a vacation is more affordable than ever. Check out our quick list of events going on that weekend and start making plans to come visit! Beach Cove’s Summer Fun on Friday includes: Scoops for Troops: $2 per ice cream scoop, with $1 of each purchase donated to SOWW (Town Center) and a Poolside DJ Noon to 4:00pm. On Saturday from 6:00pm to 9:00pm enjoy a live poolside guitar player. House of Blues is the ultimate live music venue and early September is no exception. Check out Sister Hazel on Friday, September 1 at 7:30 or Eli Young Bandi on Sunday, September 3th at 7 pm. Coastal Uncorked is celebrating its sixth year of their Food, Wine and Spirits Festival. This 3-day celebration takes place near the Pavilion Park Central in Broadway at the Beach. Chocolate Under the Moon – A moonshine mixology bartender challenge will headline the event where local bartenders will compete to make the tastiest cocktails. Tickets are available for $25 plus fees and include desserts and cocktail tastings. Brews N’ the Beach – If craft beer is your thing, then this is for you. Sample from the country’s finest craft breweries, enjoy live music and taste the town with food from local vendors. Tickets are $25/person plus fees and include craft beer samples and a souvenir beer tasting glass. Food like Boar’s Head Brand hot dogs will be available for purchase. Grand Wine Tasting Tent – Enjoy wine samples from across the country and Boar’s Head deli trays accompanied by live music. Tickets are $25 and include wine and food samples as well as a Coastal Uncorked souvenir wine glass. This is the 12th year for the Beach, Boogie, & BBQ Festival and this three-day celebration is scheduled to be bigger than ever. 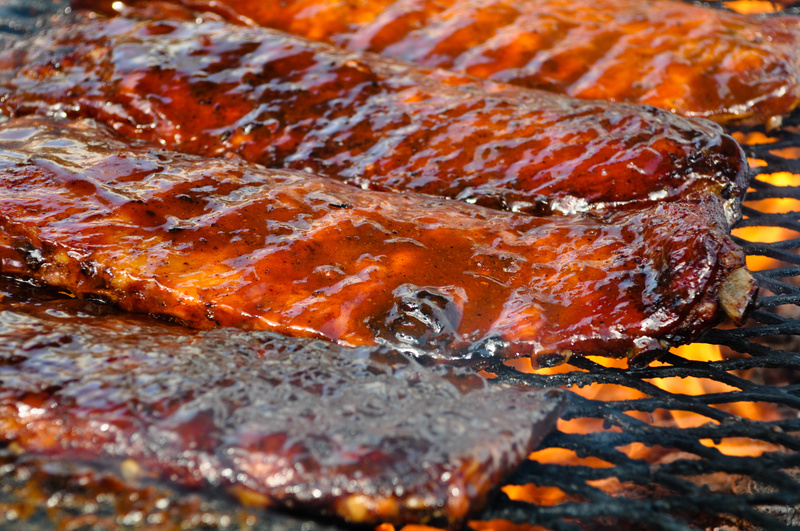 Hosted at the Market Common Friday – Sunday of Labor Day weekend, this family friendly event celebrates everything BBQ with tons of samples and competitions. In addition to BBQ, the weekend will feature a spectacular firework show on Saturday evening, a beer & wine garden for the adults, live entertainment, arts and craft vendors, and plenty of games for the kids. It wouldn’t be Labor Day weekend in Myrtle Beach without awesome free firework shows. Barefoot Landing will light up the sky on Labor Day weekend on September 2nd at 10:15 pm. You can’t forget the beach! The weather in September is still perfect for plenty of lazy beach bumming. Pack a few beach games, like ladder ball and bocce ball. Bring a picnic to enjoy some much-needed quality time with the family. The best part about the beach is it’s free! Now you can’t beat that. Get your end of summer vacation plans going and book now.